What the Heck is a Pub Burger? First, what the heck is a “Pub Burger” and how do you make one? This is one of the questions I attempted to answer in my newest cookbook Great American Grilling. As it turns out, after lots of research and burger eating, I found out that nobody really knows. Sure, there are several explanations about what defines a pub burger depending on which Pub owner you ask, or cooking show you watch. The long and short of it is this; A “Pub Burger” is a burger bought at your favorite local pub and not a chain restaurant or fast food chain. The second part is that the burger should be loaded with toppings and big! So, with that in mind, let’s make my Beef and Italian Sausage Grilled Pub Burgers! This burger includes two types of ground meat. I prefer a 50/50 mixture of 80/20 fat ratio ground beef with ground Italian sausage. You can go leaner on the beef, if desired, as the Italian sausage has plenty of fat unless you go with leaner ground turkey Italian sausage. Ground Italian sausage can be found in many grocery stores. If your local meat department does not carry the pre-ground, then ask the meat manager or butcher. A special request to grind something may need some advance notice depending on what schedule they have for the day. As an example, my local meat manager prefers some advance notice so the can factor in the time needed to clean and sanitize between items going out to the sales cooler and my single pound of Italian sausage. Also, local meat markets/shops, away from large grocery stores, may be more open to grinding special order meats. And you may find something pre-made. During the summer months, one of our favorite meat shops carries hand-made burger patties made from ground chuck and ground bacon. The trick to grilling perfect burgers is to start with the burger making process. If you’re just using ground beef with some basic seasonings, or your combining meats like we are doing with this recipe, be sure to not overwork the meat when making the patty. Also, preheating your grill is essential! If you’re using a gas grill be sure to preheat with the cover closed. You may need to prep your grill grates with oil or non-stick spray depending on your grill. Next, don’t rush the grilling process! You don’t have to cook a burger in thirty seconds and have it out the drive-thru window with extra napkins in under two minutes. Take your time and grill over medium high heat. Zone grilling is a method where you separate your grill into different temperature cooking areas. 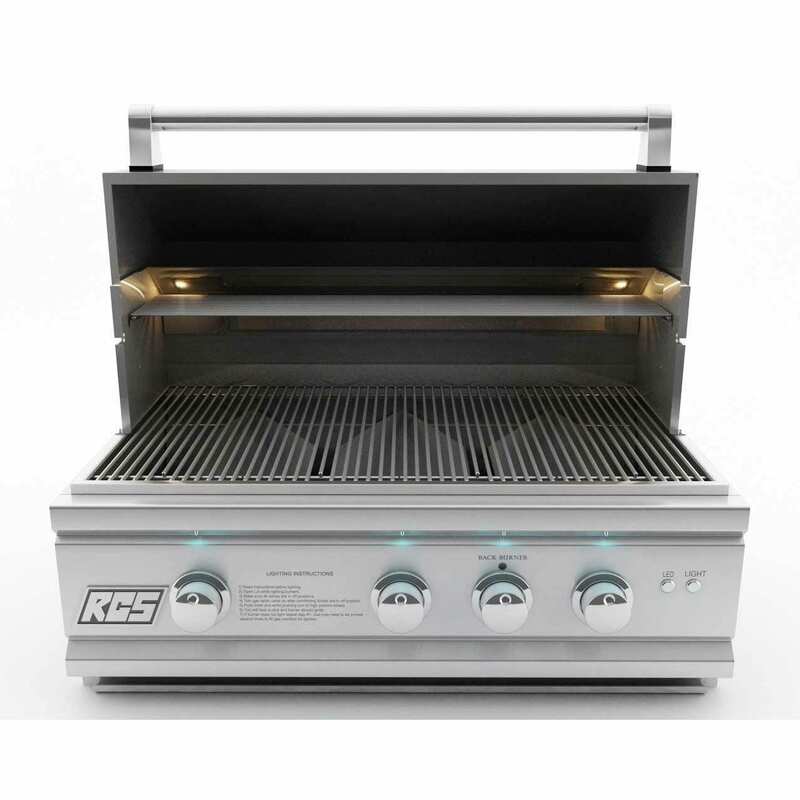 Gas grills, such as the RCS 30″ Cutlass Pro Grill – RON30a Gas grill, are set up with several grilling zone options. Visualize a grill grate, with the RCS Cutlass Pro you can slow cook some burgers here, sizzle some brats over there, toast some buns on that side of the grill. You get the idea. You may be able to do the same thing with your gas grill depending how many burners it has. Charcoal grilling enthusiast do the same thing by having more charcoal in one area and less in another area. Now for the recipe! Granted, this burger is not being made in a Pub… but I did make the original version of this burger at a Pub a friend of my family bought. He needed help during the private pre-grand opening party for his family and friends and I manned the grill for several hours. Your first thought would be to combine the ingredients in a large bowl and gently mix. I suggested starting to mix the ground beef and ground Italian sausage in smaller portions. Grab some of each, gently crumble evenly into the bowl. Continue until both are crumbled in the bowl, add the additional ingredients and then fold together. Now, form the mixed meat into equal portions and gently form your patties. Put a small depression in the center of each burger. Chill for a few minutes to let the burgers set. But, pull them out of the fridge while your grill is pre-heating and let them rest covered on a counter. The pre-chill sets the form of the burger, the rest allows the temperature to lower a bit which allows even cooking. As for the depression on the top of each burger? Here’s why! Remember what I said about slowing down the grilling process? Here’s the reason. If you grill a burger over too high of a heat source, then chances are your burger with turn into a meat ball. Then you’ll spend a whole bunch of time trying to flatten the burger while squeezing juice and flavor out. What’s happening is the outside of the burger is cooking too fast and contracting while the inside is cooking slower. Allowing the burger temps to lower during the rest, cooking over lower heat, and the depression will help your burger keep its shape. Grill the burgers until they are done, just so you know – the USDA recommends an internal cooking temperature of 160 degrees for a regular beef burger. Having an instant read thermometer is a wonderful thing. Now serve up your Beef and Italian Sausage burgers with plenty of cheese and top with your favorite toppings! And don’t be afraid to double up the number of burgers on your bun! Remember, this article was all about filling a craving for an over-the-top burger! Also known as "The Deck Chef," is an award-winning culinary writer and cookbook author.